A Horrible Prospecting Email–This is Selling? For those salespeople and managers out there who whine about how hard it is to actually talk to people, and that they are contacting so many more people by email because its more effective, here’s something to chew on. Here’s an example of what likely is being sent by “salespeople” perhaps hundreds of thousands of times daily, who believe that this is selling. I actually received this. Since I didn’t ask for permission to use it, I am taking out the name and company info. This is (name) with (company) and I just wanted to touch base with you regarding your interest in (company). I know you guys had expressed interest a while back and I wanted to make sure I can answer any questions for you or get you up to a trial account. Let me know if you need any help with these steps and I’d be happy to assist you. A bit of background: Again, this was an email I personally received, meaning that the guy had to go through a couple of steps with my spam system to get it through to me, meaning it came from a individual, not an email blast. Also, I have never done business with this company, nor to my recollection have I spoken with them. If I did, it was a very brief call where I told them I was not a prospect for their email lists of IT professionals. Let’s break it down and see just how bad it is. Ahh, the old Baseball Opening… “touching base.” Wow, there’s some value. 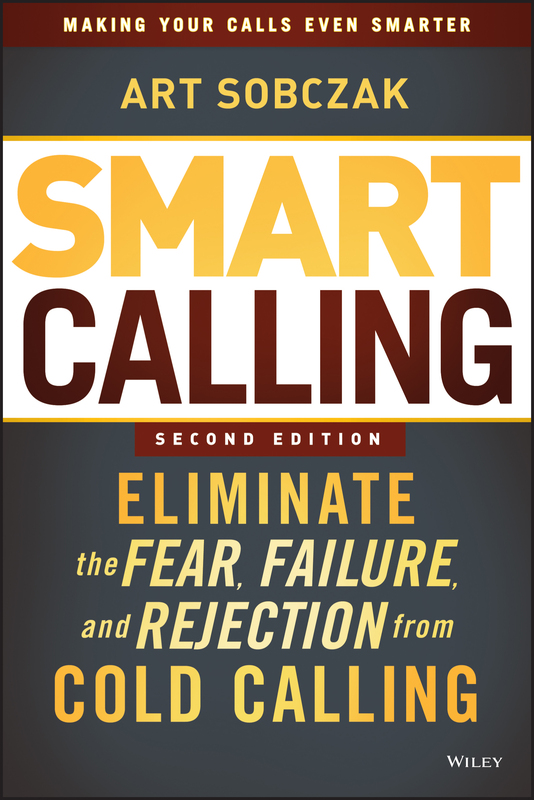 Also, he used “just,” which as I discuss in “Smart Calling” is a word that minimizes you and your message. This is actually insulting, since I never had any interest in that company. Again, see my previous point. No, I never expressed any interest. So, they either have their information wrong (most likely) or they are flat out lying in an attempt to lead people to believe there had been some contact and interest. If you feel my thinking on this is out there, I can tell you from experience that there are companies and reps that use this as part of their approach. And please, enough of the “you guys.” That might be OK for social conversation or texting with friends, but not in business correspondence or conversation. If someone had questions, that would presume interest, which of course there was none. Then he is attempting to close on a decision, a trial account. He’s asking me to commit to do something, when zero value has been discussed so far. You just can’t make this stuff up. He’s looking forward to hearing from me? Oh yeah, I was so compelled by this note that I couldn’t wait to jump on the phone, contact him, and get that trial account going. Ok, so I haven’t offered a tip this week, I’m just ripping on something I suggest you avoid at all costs. Let’s make this interactive. I’d like to get your comments on it, and also any suggestions or best practices you employ successfully using email as part of your sales process. Aside from how awful this e-mail was, I think it’s a little ironic how defensive Art gets when commenting on the industry shift from using the phone to using e-mail. I’ll bet the face-to-face sales gurus of once-upon-a-time made similar observations about selling via phone. I’ve been in tele-sales for 11 years with a few short stints in outside sales and can tell you that e-mail is becoming the preferred method of contact for many customers. They can read/review at their convenience (rather than interrupting them with a phone call) and can respond when they have time to actually consider what is being offered. In this age of being connected 24/7 via e-mail, Facebook, texting, Twitter, etc. and all the demands of owning/running a business, it’s a little arrogant to assume that prospects or even existing customers will have time to talk whenever you call. It’s also somewhat inefficient to keep calling back when you can’t leave a message and the prospect is hard to reach. 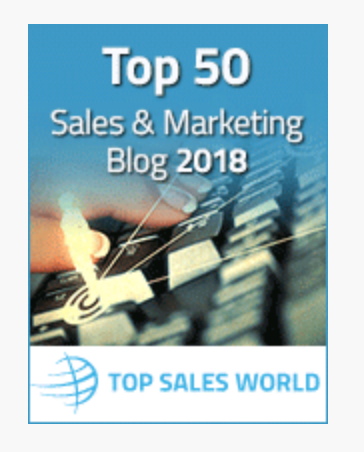 I’m not saying phone sales should be abandoned, but rather that a thoughtful and professional e-mail campaign can wonderfully complement your telemarketing efforts. I kinda don’t agree with your view of new age prospecting; email. That maybe very true for “customers” but not prospects. I personaly contact all prospects by phone, at least leave VM. Then, when we are already know each each other, I use email for non-urgent communications. That part is true. How do you know if email got through anyways? I do have a suggestion on how to maybe juice up that email. “Hi this is________ with Company XYZ. We are a company that offers real solutions when it comes to ___________. I would like to have the opportunity to learn about your company. We just may have a solution that could save you time and really increase your profits with little investment on your part. Please call me or respond to this email to learn more about what could be an incredible opportunity. I look forward to hearing back from you. This may not be perfect but I do think you need to be respectful in both your email and with your phone conversation. It’s ok to talk about how you could help someone or some business, but you need to do it in a way that doesn’t sound like you are bragging. I have debated the issue of unsolicited emails for over 25 years. I personally don’t like it when someone sends me an email I never asked for and I have a good feeling others feel the sameway. I try to get a green light from someone within the company first. However, does email solicitation(or fax for that matter) actually work? I found that email only works in some industries. For example, healthcare. I did a campaign for a large medical company and used the fax machine. I got 25 more orders than my peers. Have a great day Art! You make a good point Frank. I typically delete emails immediately if I don’t know the sender or feel they are trying to “sell” me something without my initial request for information. I work in telephone sales and in my industry have found the good ol fashioned phone is the best way to conduct business. I have also found that you have to find out about the customers needs before you can make any kind of recommendation. Very few of our customers call in wanting to order. You have to create interest first before attempting to get the sale. It may have gone over better if had read something like, I am following up with your request that you sent over the internet or to a voice mail that you left or a letter that you sent back in June. I’ve been through Arts classes, and am often pleasantly surprised at the insights Art has when dissecting marketing calls, emails, etc. This email is pure rubbish and I believe even Matt Sargent (see reply above) will agree that it should not have been sent. It is Art’s skill and profession to be a critical thinker about and instructor of marketing efforts. I have not seen any evidence that his chosen area of expertise, cold calling, has him biased for or against any one form or another. In fact, I learned from Art that the Cold call is just the first step to a relationship with your prospect. As a sales professional, you need to professionally employ all communication avenues to your benefit. This email was not professionally written, and was actually detrimental to the sales efforts of the company the sender represents. I’m in business development and my marketing team and I actually share horrible emails like this as well as any other really good ones. If I can learn from others mistakes, I won;t need to repeat them. 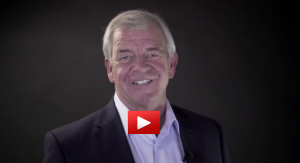 Art’s newsletter, and his teachings are a valuable resource to sales and marketing professionals. Thank You for your work Art. I only use email blasts as a passive outreach mechanism to prospects that I have been through the sales cycle with. I always make sure to offer new and compelling information pertaining to their industry. My clients who have bought from me always appreciate it and, surprise surprise, I close a good percentage of the ones who didn’t based solely on those emails. Suffice it to say, they will only work if there is a previous relationship. I think there are a couple of issues here. 1. Don’t think you can fool a potential customer into thinking “gee-did I actually want this at one point in my life? I guess I had better follow up”. 2. Please make the initial sales call. 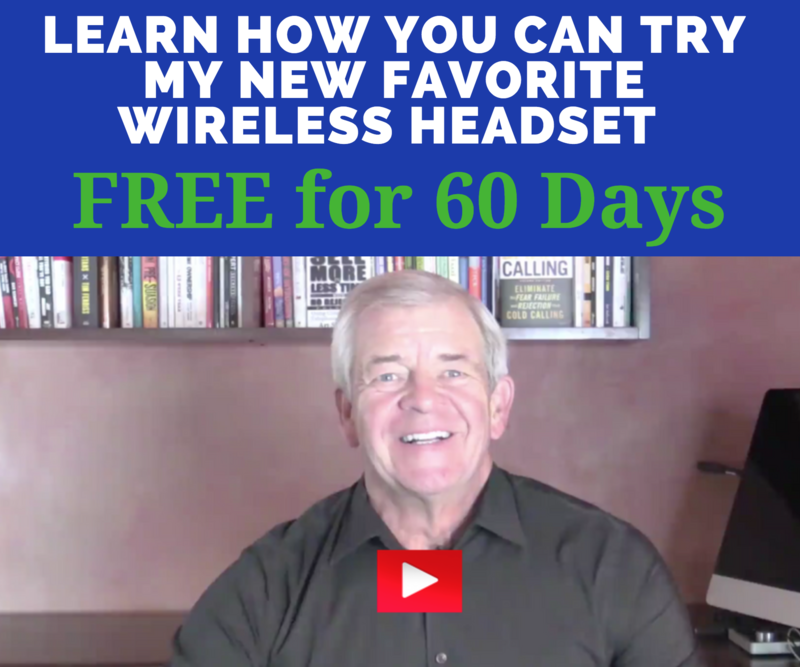 As a life-long sales rep and manager I see more and more my employees use the internet as a crutch to making sales calls. I use that term “sales calls” lightly. Selling is more than a compelling (or non-compelling as in Art’s case)email. 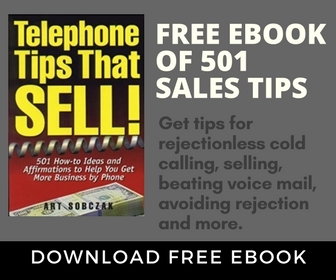 Too often sales reps shoot out an email and expect that the person on the receiving end will become excited and pick up the phone or hit reply right away. I once had a contest with a sales rep that believed email and fax was the way to go. I picked up the phone and blew away her sales numbers. Not that I was better but I was able to actually talk to someone and determine if they were the actual decision maker and was interested in my product. Is email a no-no? Absolutely not! I use it all the time-after I have established a contact or relationship. I tend to employ email as a follow-up to a voicemail I just left and I typically only do that when I have already tried to reach the prospect by phone several times. One best practice I use: When a prospect is either unavailable by phone or tells me they prefer to communicate by email, I will send my first email as normal. Then, if I don’t get a reply in 10 – 14 days, I’ll send the same email with “UPDATE” at the beginning of the subject line. In the first paragraph I’ll remind them of the email I sent (copied below) and offer some small update of information to legitimize the word “update” in the subject line. I will also ask them to respond using a few different phrases and ask 3 or 4 quick questions to see where they’re at in the process and try to get closer to closing the sale, all within about 75 words. My opinion is that I’m one step away from giving up on them until the next sales cycle begins so I’ve got nothing to lose by pushing hard for a response, and if they happen to be a person who tells me they prefer to do business via email, then I have a right to expect them to honor that as well. Thank you, thank you for me not being the only one to say that, “you guys” is meant for the bowling alley. This email has so many no no’s it makes me think it was done by a devoted reader who had the time to write up a satirical message! I don’t respond to any initial solicitations by email, so would not do it to any prospective clients. You guys? jeez,,,esp not a Southerner! Interesting that you are dissecting an email. I have been thinking a lot about how I use email. I tried to take some suggestions from an email marketing guru for a shorter email and I’m having worse results. I’m afraid my long, wordy email just goes with my personality, but it seems to work. I have a question: when do you use emails? Currently I call and introduce myself – either directly or on voicemail – and send the long email that describes my service as a follow up. What other ways are people finding success using email as part of their selling process? Art I am delighted that you have taken the time to dissect that email. I got one very similar the other day and just thought how can these people possibly think anyone is going to take these seriously! I also completely agree with this false friendly tone, it is completely inappropriate. These are “cold calling emails” it is all about them and their product/service and reflects no value or real interest in the prospective client!! I have read and reread the email you dissected and could not find any use of word “just” as you referenced. Can you point me to where? I don’t do large email blasts as many businesses do. I like others find them irritating because they are hard sell and impersonal. Instant delete. Because I typically target CEOs, my goal is always a “warm” and personal prospecting approach. And, yes, I do often use email as my first contact. I agree with another responder that it is easier for a decision maker to read at their discretion (many read in off hours) and actually digest the content. It does require that I do my homework on the company, CEO, etc. and target succinctly why I am contacting them and the benefit of a first conversation. It’s about creating and giving value first from my experience. I don’t hit a home run every time. However, I do get a strong percent to at least respond and, often, interest in a conversation. Some of it is also timing. To me, the big difference is the mindset of the sales person because that drives the communication, whether email or VM. Sorry, my fault, the “just” was in the original email… typomission on our part. Fixed now. Thank you Mike for stepping up and actually submitting a sample email for all of us to look at. The feedback by others were okay but your’s was the only that I found to be example driven. I am amazed at the quality of the posts in here. I agree with Denise. I also did not see the word “just” in the poorly written email. Also offensive is the fact that several of the writers have either misspelled words or have used poor English i.e. “hearing back from you”, becuase, contack, customers (‘s)… if you want to be taken seriously I recommend that your emails are at least spell checked and proof read.